They Will Remember the Entertainment! Michael Mage transforms ordinary events into extraordinary experiences. 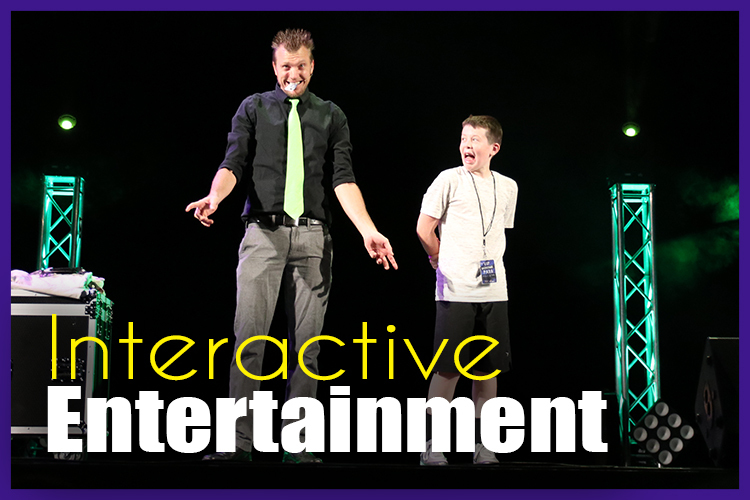 Michael’s high energy interactive performance will take your guests on an experience full of laughter, danger, excitement, and leave them with lasting memories of YOUR event for years to come! Watch Ohio Magician, Michael in action to see why his magic and comedy will be perfect for your next function! These are the memories that your guests are going to remember forever! Click the video above to watch now! HE WILL IMPRESS YOU, TOO! Michael Mage truly specializes in making your events amazingly successful, entertaining and fun! Michael’s magic is GUARANTEED to blow your guests mind and leave them with long lasting memories of your event! Michael Mage has a special way of connecting people through his magic and illusions. Michael works directly with you to create custom entertainment that features your guests in mind-blowing magic and impossible mentalism. Your event is about your guests and Michael creates entertainment that truly makes them the stars of the show. Michael’s interactive show is perfect for any size event. Whether it’s a private banquet for your guests or a full corporate conference on the main stage. Michael is sure to wow your guests in ANY venue. Fill out the form below to make your next event UNFORGETTABLE!